CSKA Moscow v Manchester United: What can English club expect from Russian opponents? As English Premier League giants Manchester United prepare to take on CSKA Moscow in their Champions League group stage match in the Russian capital on Wednesday night, RT Sport looks at what United can expect from their opponents. 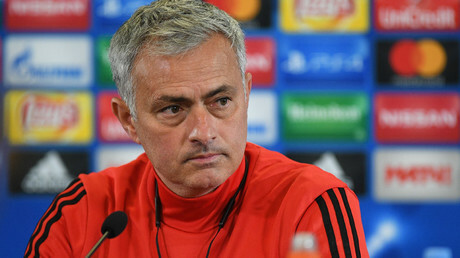 United manager Jose Mourinho was full of praise for CSKA in his pre-match press conference on Tuesday, saying that “opponents wise, I think it’s the best CSKA that I’m going to play against,” having met the Russians in Europe before while in charge at Chelsea, Inter Milan and Real Madrid. 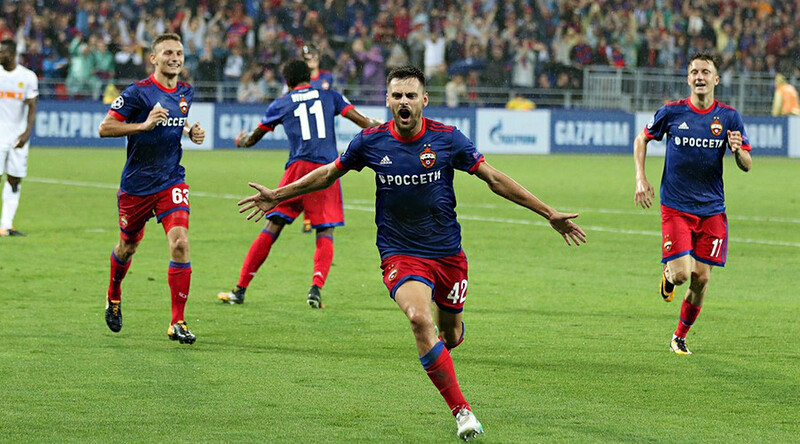 Both CSKA and United claimed victory in their opening Champions League Group A games, in the Russian team's case courtesy of a shock 2-1 away win at Benfica. The Moscow club have made a steady if unspectacular start to the domestic season, and currently sit fourth in the Russian league table, seven points from top spot. They have a strong Russian core of players and boast plenty of Champions League experience, having appeared in the competition in each of the past 10 seasons. Up front they rely on 23-year-old Brazilian Vitinho and Nigeria’s Aaron Samuel Olanare, also 23, although Russian midfielders Alan Dzagoev, when not hampered by injury, and Aleksandr Golovin are also a threat going forward. In 21-year-old midfielder Golovin CSKA have the most promising young talent in Russian football, and the playmaker has already caught the eye of several Premier League clubs. Golovin has a good passing range and is dangerous from outside the box, and a strong performance against United will go a long way to impressing potential suitors. Young attacker Timur Zhamaletdinov, 20, is also one to look out for and is often deployed from the bench – as he was against Benfica when he scored the winner. Goalkeeper Igor Akinfeev, the captain, has the unwanted record of the longest-ever run of Champions League games without a clean sheet (spanning 11 years and 40 games), but is considered a lynchpin of the team he has spent all of his career at. In front of him, the defense has abundant experience in veteran Russian brothers Vasili and Aleksei Berezutski, along with Viktor Vasin, although it is an aging backline that could struggle against the pace and power of United’s Romelu Lukaku and Marcus Rashford. Swedish international Pontus Wernbloom will aim to provide his usual protection ahead of the backline, and the Russians will likely be happy to allow Jose Mourinho’s men plenty of possession while aiming to hit them on the break. Manager Viktor Goncharenko is a shrewd tactician in the mold of his predecessor, the current Hull City manager Leonid Slutsky, and has continued Slutsky’s legacy of forming modest resources into a solid team that can be hard to break down. The two teams met in the Champions League group stage in 2015, when they played out a 1-1 draw in Moscow before United won 1-0 at Old Trafford. CSKA’s VEB Arena is a compact 30,000-seater stadium, but the home fans will generate vociferous support for their team. English fans will also take interest in the quirk which sees male CSKA fans in the ‘Ultras’ section behind the goal strip to their waists and bounce in union for the last 20 minutes of games, whatever the weather. The Moscow climate is not likely to be an issue, however, and United will be glad they are on a trip to the Russian capital early in the group stage – and in relatively clement September weather – as opposed to an icy November or December visit.